In the effort to contribute to the body of scholarship on graduate education (Rutkowski, Webster, & Gossett, 2012, 2013; Walker, Golde, Jones, Bueschel, & Hutchings, 2008), the purpose of this article is to report on interviews with seven faculty members teaching in music education master’s and doctoral-degree granting institutions in the United States. I chose faculty working in institutions representing broad geographic areas and including both small and large programs as well as public and private institutions. Faculty responded during a 30-minute phone interview with the author. Questions in the interview were: (a) Describe the master’s degree research coursework; (b) What efforts are made within the master’s research course to connect research to teaching practice? ; (c) Is teacher research, action research, or teacher inquiry introduced in the research course? ; (d) Share strategies for creating a culture of curiosity and inquiry for master’s students; (e) Describe the research course sequence in the doctoral degree; (f) What efforts are made within the degree to connect research to teaching practice as a teacher educator? ; (g) Does the degree focus on doctoral students learning to teach research? ; (h) Is teacher research, action research teacher inquiry or self-study of teacher education practices (SSTEP) introduced in the degree? ; (i) Share strategies for teaching PhD students to create and maintain an active professional research agenda. It is important for the reader to understand that this was not a research study but seven phone conversations on a topic that has received little attention in the literature. Participants in the calls were aware that I would be sharing their comments in this paper. I believe their insights in conjunction with consideration of the small literature base in this area provide the profession with a starting point for future research in this area. I begin with a brief review of past scholarship regarding graduate degrees in music education in general and then report on literature related specifically to master’s degree programs in music education. I then share insights from the interviews regarding the master’s program. The next section of the article presents scholarship specific to doctoral programs and shares insights from the interviews regarding doctoral programs. I conclude by setting an agenda for future research. In one of the earliest articles I found that examined graduate education within music education, the Committee of Graduate Studies in Music Education (1954) provided a rationale for the need for advanced degrees in music education and defined the various master’s and doctoral degrees at the time. The Committee stated that finding a balance between music and professional education coursework was a key challenge, at the time, in both master’s and doctoral degrees. There was little discussion in this article of research or the creation of scholars. However, the article does mention that doctoral students should be familiar with the “instruments of research” (p. 168) including proficiency in multiple foreign languages. In a Music Educators Journal article Ball, Ross, Mamlin, Martin, Brookhard, and Cox (1980) presented the report of the MENC (Music Educators National Conference) Commission on Graduate Music Teacher Education submitted at the conclusion of a four- year focus by the commission. They discussed graduate teacher education within the following categories: function, curriculum, faculty, admissions, resources, and the role of research. The “the role of research” section suggested that students in the master’s program should experience “guided interpretation” and “practical application” (p.48); while doctoral students must balance research and music requirements. The authors heavily criticized the profession for not producing qualified researchers at the time. This article provided a strong reference list of historic articles on graduate education and research within music education including: Britton (1969); Cady (1965); Leonhard & Colwell (1976); Petzold (1964). Most recently, and growing out of the work of the Preparing Teacher Educators Area for Strategic Planning and Action (ASPA) within the Society for Music Teacher Education (SMTE) Rutkowski, Webster, and Gossett (2012, 2013) shared a comprehensive description of curriculum for doctoral programs and details of final qualifying exams within the degree. These presentations were based on a review of program websites as well as email and phone communication with faculty in doctoral programs throughout the country. Rutkowski, Webster, and Gossett (2012) discussed “positive reflections” on the data collected and one of the themes in that section is titled “Center/colloquium idea – engaging students each week or regularly in important topics/projects.” The second related theme is labeled “Encouragement and even requirement of submitted works for publication/presentation.” Both of these themes were also discussed in my interviews and will be discussed in the doctoral programs section of this paper. Dorfman and Lipscomb (2005) surveyed 132 graduate students enrolled in an introductory master’s level research course, both prior to and following the course, in order to examine attitudes regarding research. One of the research questions of the investigation was: ‘To what extent does knowledge about research methods change how graduate students teach music?’ (p. 35). Their findings suggested a statistically significant increase in positive attitudes towards research upon completion of a research class. However, the finding regarding the extent to which graduates expect to change their teaching practice was less encouraging. Related to this finding, Dorfman and Lipscomb stated that (a) respondents fail to make a real connection between research and practice; (b) there is a divide between research methods and classroom teaching; (c) respondents may not see research as having a significant impact on their teaching practices; and (d) respondents do not see themselves as becoming involved in research as part of their professional activities. Barrett (2006) provided a philosophical and theoretical discussion of teacher professional development and pointed to graduate work’s (specifically master’s degree) potential for bringing music teachers to a more reflective approach to teaching. She stated master’s degree courses “can be especially strong in their capacities to engage teachers in the study of music and music teaching, which builds disciplinary depth, and also aids in fostering teacher-directed inquiry” (p. 26). Robbins, Burbank, and Dunkle (2007) used teacher research to share the stories of two teachers who engaged in classroom research projects during their master’s degrees. This inquiry was largely a self-study between two classroom teachers (Burbank and Dunkle) and a university professor (Robbins) with University collaboration serving as the primary author. The narrative shares the project design process, the data collection, and the writing process. Experiences of the teacher researchers were also shared (co-authors). The availability of university support, and teacher growth are key themes associated with collaborative teacher research. Conway, Eros, and Stanley (2008) utilized a qualitative formative program evaluation model to compare the perceptions of “summers-only” Master of Music (n=5) graduates to academic year (n=4) graduates. Data consisted of an online survey, email journals, and individual interviews with the nine program graduates. Findings were presented with descriptive participant profiles as well as themes organized by the following categories: (a) motivations for and reflections on the degree; (b) issues of time; and (c) experiences within a community. The lack of an academic community felt upon degree completion by the academic year students, and in between summers by the summer students in this study highlighted the need for structures that reinforce teacher-to-teacher communication and support, in tangible and accessible ways. Conway, Eros, and Stanley (2009) examined teacher (N=9) perceptions of the effect of Master of Music education degree on teaching practice and student (P-12) achievement. Data was: an on-line survey, participant journals, and individual interviews. Participants discussed music performance; connecting research with practice; “re-interaction” with undergraduate content as they make connections between their graduate work and teaching practice. Participants did believe there was a relationship between the graduate degree and student achievement; however, they were unable to pinpoint the direct link. Additional findings were: a) the thesis or exam as a powerful connection to teaching practice; b) the value of the community of learners in a master’s program; and c) questions regarding the development of an identity as a teacher/scholar. What is the Goal of the Master’s Degree? Several of the faculty interviewed for this article discussed that before considering master’s degree curricula or the teaching of research in the master’s degree it important to have a sense of the goals of the master’s degree. It was unclear as to whether the master’s degree is considered a training degree for the PhD or whether it is considered a terminal degree. One institution asks master’s students to choose a track – either teaching or research upon entering the degree. Another institution offers no “teaching” focus and only admits master’s degree students who are planning to continue on in to the PhD. Most of the other programs attempted to accommodate both the need to prepare future doctoral students as well as better music educators at the P-12 classroom level. Master’s Student Generated Research Topics or Not? In talking about master’s students learning research there was inconsistency regarding whether master’s research students generate their own topics for research. In two settings students are given a data set or a topic to collect data on. One faculty member mentioned that although he allows students to generate their own ideas for research study that he can almost predict the first proposed topics coming from typical master’s students. He suggested that he often needed to guide students to more researchable topics. Other faculty suggested that allowing students to explore their own “wonderments” in research class and for final projects was a key to fostering a spirit of curiosity and inquiry within the master student. Teacher Research/Action Research – Separate or Imbedded? All faculty suggested that action research and/or teacher research was addressed within the master’s level research coursework in some way. However, there were differences with regard to whether action research and teacher research were considered separate approaches to research or whether they were imbedded with all design discussions such that any designs could be used in action research and teacher research. Several faculty suggested that a large majority of master’s (especially summers-only degrees) projects would best be described as either action research or teacher research . Master’s degrees in all seven schools required some sort of final project. For some, that was a final comprehensive exam (one school) for others that was a choice between some combination of a thesis, a final presentation, a field project, or a recital. All interviewees suggested that final projects were a key component in connecting research to teaching practice for master’s students. All interviewees agreed that the vocabulary used in music education research was challenging for master’s students to learn. All faculty said they discussed the challenging nature of the vocabulary at the beginning of the course. Several faculty members shared their strategies for “demystifying” this vocabulary. Exercises where students are using this vocabulary in writing short statements and in providing reports of research read seemed to be the first steps in demystifying the terms. Several faculty members asked students to keep journals or logs of their use of terms. In my own Introduction to Research class I have developed several vocabulary games (i.e. Research Vocabulary Jeopardy or Research Bingo) that we play throughout the term. At the end of the term students must create their own vocabulary game as way of reviewing all the terms. This understanding of the terms provides the baseline for using these terms in designing studies later in the degree. A variety of strategies for building a community of scholars within the master’s program were suggested. Department newsletters, blogs, degree cohort Facebook pages, and email lists were popular for keeping summer students connected over the year. Students in academic year master’s programs often had opportunities to attend doctoral seminars and conferences in which they shared a graduate community with PhD students. Several faculty members expressed pride in the number of master’s students who opted to present course projects or final thesis and exam papers at state, regional, and national conferences. Rutkowski, Hewitt, Taggart, and Weaver (2007) presented an extensive overview of current practices in doctoral education including: (a) identification and recruitment of potential doctoral students; (b) Mentoring doctoral students and the importance of doing this well; (c) Providing opportunities for college teaching experiences and working with faculty to develop skills in teaching college students; (d) Sharing the job search process and providing experiences in preparing materials and interviewing; (e) Mentoring students as researchers prior to dissertation work; and (f) Developing a sense of a community of scholars among doctoral students and music education faculty. Key suggestions regarding creating a culture of inquiry for doctoral students emerging from that presentation were: (a) the importance of an “equal,” “non-hierarchical” community between students and faculty; (b) the importance of presentation and publication as experiences during the doctoral degree; and (c) the need for strong mentoring by faculty. 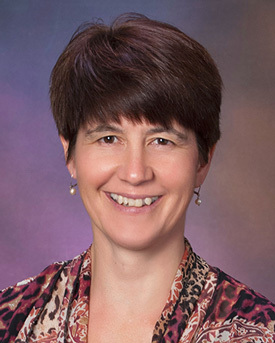 Barrett (2007) studied the teaching of qualitative research through an action research study conducted by her within a qualitative research class. After an extensive reflection on the work of her students Barrett concluded: “By studying how qualitative researchers learn the art and craft of extracting multifaceted meanings from complex data, we develop our professional capacities to understand and investigate music teaching and learning” (p. 431). Conkling and Henry (2008) examined the preparation of doctoral students in all music concentrations (not just music education) and discovered that “it is reasonable to view the period of doctoral education as an important time of socialization into collegiate faculty roles” (p. 184). Conway, Eros, Pellegrino, and West (2010) conducted a self-study that examined what doctoral students learn from undergraduate students and what undergraduate students learn from doctoral students. Findings relevant to this study were the power of self-study as a tool for understanding their own identity development as well as the need for reflection time in the degree so PhD students can think about their teacher and scholar identities. Conway et. al suggested: “We feel that this study has begun to document that growth process experienced by PhD students as they study to become teacher educators, but the profession needs much more information on this important phase in music education” (p. 62). Robinson and Taggart (2011) conducted interviews with eight recent graduates of their doctoral program to describe what graduates believed had helped to prepare them for their roles as new faculty members. The need for a learning community that is characterized by a flat hierarchical structure (between students and faculty) as well as the “ethic of care” that was received from faculty and peers was a key finding. Additional categories of findings were: (a) the importance of collegiality and collaboration among the doctoral students; (b) accessible faculty; (c) mentoring/advising shared across the faculty; (d) providing strong role models of teaching, research, and life balance; and (e) learning experiences that were well balanced between teaching and research/scholarly activities. Finally, the expectation to conduct, present, and publish research emerged as an essential and valuable part of the learning community culture. Several graduate directors interviewed credited the doctoral seminar or a research center as a place where doctoral students learned to be curious and critical in their thinking. In some schools all faculty met regularly (weekly or once a month) and in other settings students met with individual faculty. Positive reflections about seminar suggested that it is a place where students learn to think critically about presentation and publication by evaluating the work of peers and faculty. In some settings, a project is chosen each term and students collect and analyze data for the project (sometimes with one faculty member and sometimes with multiple faculty members) as part of the seminar experience. The seminars that met monthly often included a social gathering (i.e. dinner) for faculty and students or students alone. Dilemmas that emerged about seminar from the interviews were: (a) How to balance seminar work if it is a course for credit? ; (b) Who is required to attend the seminar? ; (c) What is the purpose of doctoral seminar? ; and (d) How to accommodate students in various stages of the degree (i.e. first semester versus third year) in conversations about research? This theme is supported in past research in that Robinson and Taggart (2011) cited doctoral seminar as the key component in creating a culture of inquiry in the doctoral students. Their model was a once a month gathering where faculty and students share current works in progress. Several interviewees reported that a formal process of peer review is in place within graduate research classes and/or doctoral seminar. Students in the classes simulate a journal review board and the doctoral students experience submitting to the board as well as being a reviewer. In two institutions doctoral students are invited to review master’s level thesis proposal and final projects and provide comments to faculty regarding that work. In one institution. preliminary dissertation proposals and proposal meetings are held in public forums where all doctoral students have an opportunity to respond. The general sense was that it is important for doctoral students to have opportunities to review the work of others as well as have their own work reviewed. Doctoral students in the institutions represented were regularly forming research teams to conduct studies, book reviews, literature reviews and other projects. Some of these were orchestrated through research coursework while others took place entirely outside of class. Some were in teams with faculty while others were student-only teams. Regardless of the motivation or the make-up, the notion of group collaborative work was suggested as a mean to the creation of a culture of inquiry for doctoral students. All faculty targeted modeling “professional research behavior” to doctoral students as an important component in mentoring doctoral students. Ways in which this is done were: sharing faculty CVs with students; presenting research papers to be delivered at professional conferences within doctoral seminar, research class, or another meeting venue; informal discussions with students about research design, data collection, and analysis; and asking students for critical feedback on research paper submissions. Modeling by multiple faculty was also cited as important criteria for instilling solid research habits in doctoral students. Doctoral students in some of the institutions represented had the opportunity to co-author with faculty on research projects. Some of these were faculty-generated research ideas and others were collaborative ideas generated between faculty and students. Faculty who do this work were quite proud of the way in which co-authoring provided an authentic opportunity for students to experience research from wonderment to publication with the help of a mentor. Faculty in all seven institutions suggested that presenting at both practitioner and research conferences was an expectation for doctoral students. In several institutions this was a requirement for graduation. One faculty member suggested that the “taste of fame” experienced when doctoral students presented gave students motivation to continue as a research and scholar. I discussed with several of the interviewees the “history” of this notion of presentation and all suggested that the need for professional presentation “before” graduation was a recent (last 10 years) development. In some institutions, applicants for the doctoral program were expected to have presented at practitioner venues before being considered for admission. Many of the institutions had professional presentation as part of a qualifying exam or requirement. Many of the programs represented required publication previous to graduation. Several required writing for various publication audiences (i.e. Music Educations Journal, Journal of Music Teacher Education, Philosophy in Music Education Research, and Arts Education Policy Review) as part of the qualifying exam. Again, this theme was documented as “changing” in the past 10 years such that it is now a requirement for acquiring a position in higher education. The general sense from the interviews was that faculty should assist doctoral students in the publication and review process so that it would be familiar and easier to accomplish once in the first college position. My examination of the literature as informed by the interviews for this article have led me to question the various program goals and student motivations for the master’s degree. Institutions need to be clear as to how they are balancing the need for master’s graduates to be well-prepared to return to P-12 as master teachers versus (or maybe in addition to) the need to be prepared for continued graduate work. Consideration of master’s tracks or degrees (i.e, MM, MS, MA, on-line, hybird) may be one option. It is unclear how the graduate work of those doing master’s with certification compares with the work of their colleagues who have teaching experience previous to coming in to the master’s degree and this would be interesting to explore through research. The faculty who discussed teacher research, action research, or teacher inquiry were often quite animated in their descriptions of the exciting work of these projects. However, it is difficult for practicing teachers to have the motivation and the time to complete this sort of work. The profession needs more information about this sort of experience. Several faculty discussed the challenges in preparing doctoral students for possible fields of employment (teacher education, research, administration, policy). One of the programs described is moving towards a “minor” field within the doctorate such that students would choose teacher education, administration, performance, etc. as a 15-credit minor and would then complete the dissertation specifically within that area. Another interviewee suggested that the doctoral program at his/her institution was preparing researchers and preparation as teacher educators was not a focus of the program. Other programs focused on teacher education as the primary goal of the doctorate. Faculty all discussed the challenges associated with providing comprehensive research design experiences for doctoral students. One program stated that they consider themselves a “quantitative program.” Others reported that the majority of recent dissertations had been qualitative although coursework was designed to provide a breadth of research. Most programs provided an introduction course that was comprehensive but then allowed students to choose advanced research courses within their interest. All interviewees expressed concern as to how to address depth versus breadth of research design preparation. I asked all of the faculty how doctoral students learned to connect research into their own teaching practice within higher education. Only a few interviewees suggested that doctoral students were encouraged to study their own higher education teaching practices through practitioner inquiry, teacher research, or self-study of teacher education approaches. Many faculty members reported that doctoral students do take a course on teaching in higher education as part of the requirement for the degree. It was unclear as to whether practitioner inquiry or self-study were concepts presented in those courses. It seems that introducing doctoral music education students to techniques available for studying teacher education practice may be an area to consider for future inquiry. Finally, I asked the faculty if there was any particular focus on the teaching of research in the doctoral program. One faculty member asked students to keep a “teaching journal” as part of the introduction to research course where the student would document how they might teach the concepts introduced in class. At my institution, I often invite second and/or third year PhD students to present a guest lecture in the master’s level research class (as well as any other master’s level courses). I also invite the summer master’s students to consider the doctoral students as “research –Buddies” such that they ask questions of the doctoral students that might simulate the sort of questions that a faculty member gets ask in research. Doctoral students often comment on the master’s student proposals and thesis documents so they have an opportunity to “practice” this sort of research skills. All the faculty interviewed agreed that a focus on how doctoral students learn to teach research (and other graduate classes) is an important area of future consideration. The preparation of the next generation of music education scholars and teacher educators is clearly an area for future empirical examination. I hope this interest article sparks some ideas for continued thought and study. reform. Arts Education Policy Review, 107 (6) 19-30. Music Education, 2 (2), 157-170. P-12 teaching practice. Research Studies in Music Education, 31 (2). 1-13.
the Council for Research in Music Education, 178, 21-34.
research. Journal of Music Teacher Education, 15 (1), 31-42.
for the twenty-first century. Contributions to Music Education. Council for Research in Music Education, 49, 1-30.
field.” Journal of Music Teacher Education, 17 :42-55. Soceity for Music Teacher Education, Greensboro.